You're searching for a wedding photographer, scrolling through countless websites, when you spot a portfolio that takes your breath away. "OMG, these photos are amazing," you're thinking. The only problem? The photographer is a fraud. Every image in his portfolio has been stolen from a seasoned wedding photographer. And you may not find out until it's too late. Welcome to the latest trend in wedding photography — faking it. With so many brides booking online, it's easy to create an impressive website and fudge a few details to draw in clients. And it's more common than you think. This week my frustration came to a boiling point when both Top New York Photographer Angelica Glass and boudoir photographer Sue Bryce had images stolen and posted by a fraud-tographer. It brought back bad memories for me — in 2008, a Russian photographer copied my website, added a few images from Moscow for that "personal touch," and used my logo and images to promote his company. When I contacted him, he blamed his web designer. In May 2012, Corey Ann launched Photo Stealers Wall of Shame to expose photo thieves. When I asked how prevalent theft was, she dropped this bomb: "My best guess would be 5% of all photographers are using stolen images of some kind, for advertisements or proudly displayed on their blogs." Pennsylvania wedding photographer Leslie Gilbert explains, "Inexperienced photographers don't have a portfolio to show potential clients, so they look online and think no one will ever know if they steal images. Ever since things went digital, it's been so easy." And stolen photographs are just one way that wedding photographers fake it. Wannabe wedding photographers may be exaggerating their experience, lying about their credentials, or padding their portfolio. "I know a lot of photographers, and probably half are fakes. People just buy a camera, a website, and go at it. I've known some who have purchased stock images and used them on their photography website," says Louisville Photographer Shane of Studio E.
How can you ensure that YOUR wedding photographer is the real? I asked some of the best in the industry to share their tips for spotting a fake. 10 ways to make sure you're booking a quality wedding photographer. "Be diligent in looking at the work and looking for ANY inconsistencies in style," suggests Todd Laffler. "Do most of the photos on their site match in style? Is the post-processing relatively consistent? If you see too many different post processing styles, then most likely something isn't right. Trusting your gut is important — if it seems fishy, it probably is." Laffler recommends looking for a photographer with an active blog. "If someone is ripping off images, it's much harder to keep up with the charade if they have to do it every other week. Consistency in the photographer's work is key!" Meet the photographer in person. "A photographer's website is a glimpse into their style, but the truth comes out when you meet them in person," says Neil van Niekerk (read how his whole website was stolen here). "Get a sense of who they are, and their confidence — and their sample albums." He also cautions that large studios will often display work that represents the studio, but not necessarily the individual photographer you're meeting with: "I have worked for various studios, and they would happily show other photographers' work as the work of whichever photographer you're meeting. So be wary of multi-shooter studios too." "For the sake of safety as well as quality, I think it's important for clients to research their potential photographers, ask for references, and take their time in making a selection. As with all things, you get what you pay for. In most cases, these fauxtographers have no insurance, make little money, and there is no real means of reimbursement for your troubles." says boudoir photographer Jessica Lark. Check their online presence twice. If the images in their gallery are wildly better than the images on their Facebook page, that could be a red flag. "Does the work on the blog match the portfolio galleries?" asks Christopher Becker of Photog Refer. If you spot a gorgeous image in their gallery, ask if they can link you to a full blog post for that wedding. Look for the Bridal Party. 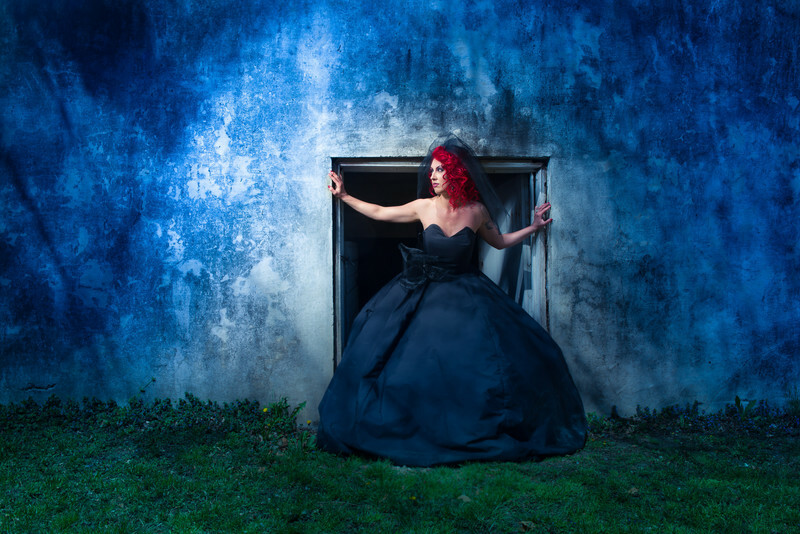 "Many wedding photographers will build their portfolio through styled sessions and workshops," says Kara Wahlgren of Kiwi Photography in South Jersey. "Those are great — I've done them myself — but it's not the same as having experience with the hectic pace and crazy pressure of an actual wedding. If you only see impeccably-styled bride and groom portraits but not a maid or groomsman in sight, be sure to ask to see a sample album or online gallery from a recent wedding." And if the bride and groom seem to be looking away from the camera in every single shot, it could be a clue that the "photographer" was actually just a camera-wielding guest at that wedding. Ask to see an entire event. It's easy to get one amazing shot; it's harder to get 400 or 500 keepers from a wedding day. Destination photographer Jules Bianchi suggests, "If you like an image from a wedding, you should ask to see the entire event. This way you'll know if the photographer is really talented or just happened to get one great shot." Consult with your wedding planner. One of the advantages to working with a wedding planner is their relationships with trusted wedding vendors. 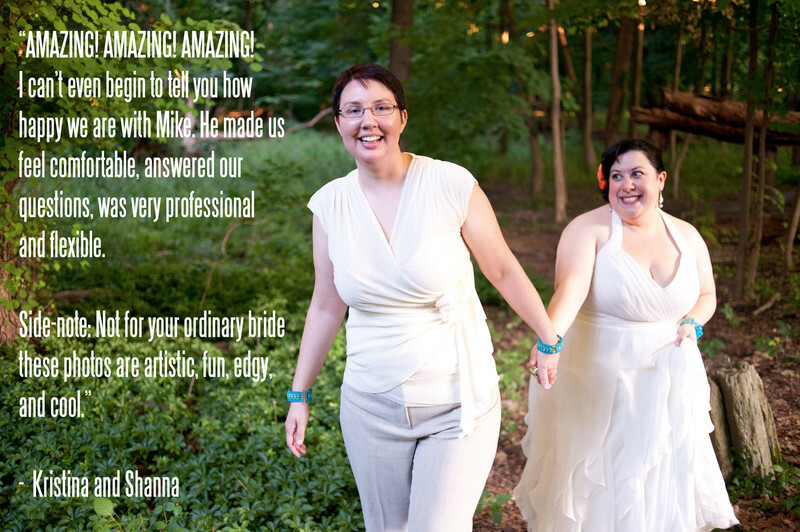 Trust your wedding planner's gut reaction and advice. One way to spot a photographer using stock images or stolen photos in their portfolio is to look for geographical clues. "In movies, they call it 'the mountains of Illinois' — when the scenery doesn't fit the supposed location," Wahlgren says. 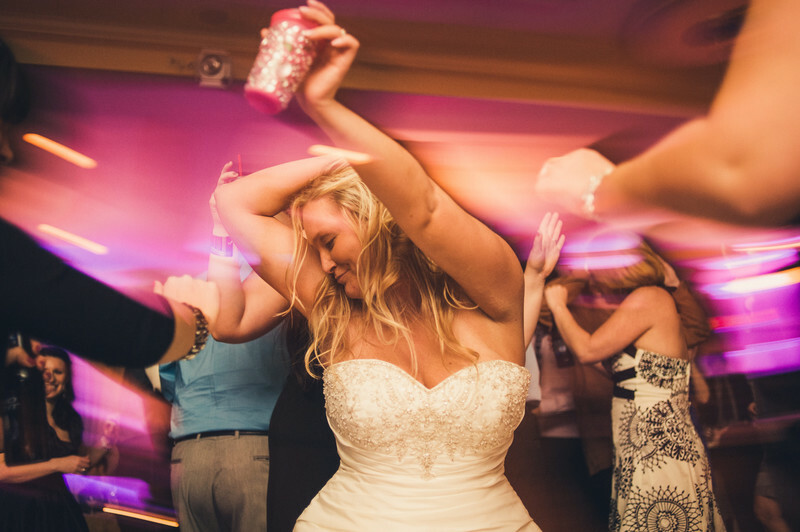 "If someone bills themselves as the premier wedding photographer in Cincinnati and their portfolio is filled with gorgeous beach shots, you may want to dig a little deeper. It's possible they've done some destination weddings, but if they only have a few Facebook fans or their blog only has three posts so far, they're probably not being flown all over the country to shoot weddings." This may be the simplest tip of all. Google your photographer. After one photographer was caught stealing images — and shut down her company in response — she confessed on her blog, "Photographers wrote blog posts about me. Other people left comments and spread the word." A simple Google search could catch that. 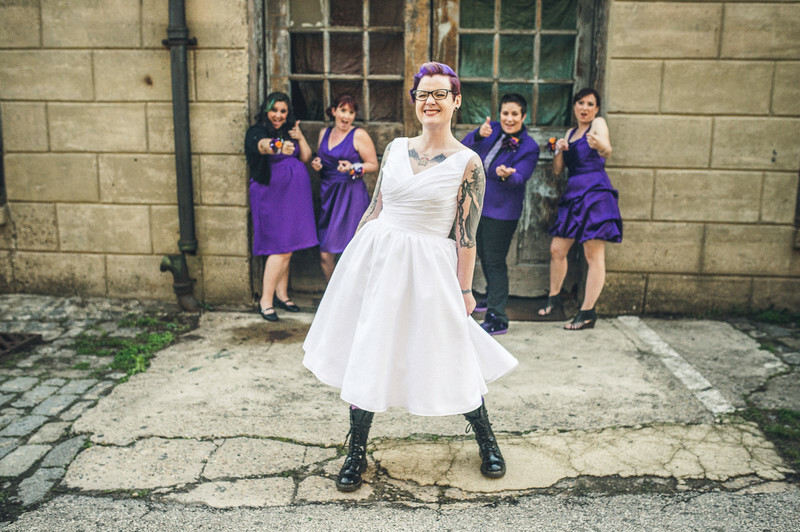 Kat Williams of Rock n Roll Bride suggests "As a wedding blogger I use Google reverse image search all the time to find images sources and photographer credits, usually when I find an image online that I'd like to share but, for whatever reason, hasn't been properly credited. If brides are at all worried that the images on a photographer's site might not be their own this would probably be my first piece of advice for them if they wanted to 'check up on them' so to speak. Tineye.com is another similar resource that can be used in the same way." Want an awesome photographer? Contact us to see if your wedding date is still available. Sign up for more helpful tips here! 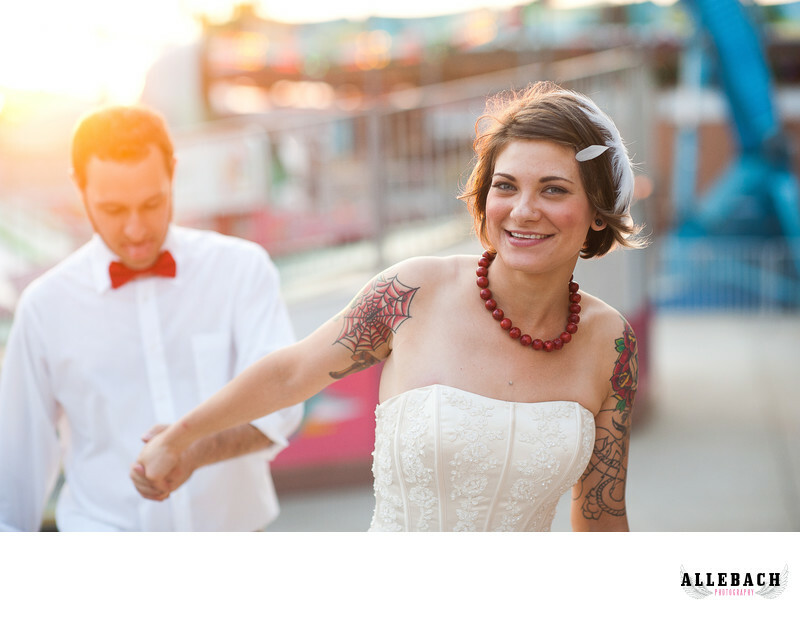 Allebach Photography serves weddings in all 50 states. We've photographed weddings from Maine to California. We are located in the suburbs of Philadelphia in a town called North Wales. If you look on a map North Wales is surrounded by Lansdale, Blue Bell, Collegeville, Harleysville, Souderton, Telford, Montgomeryville, Horsham, Hatfield and East Norriton.